There aren’t many people out there who are happy to spend their days climbing the surface of a roof, but our Gorillas love it! Every day, our Gorilla technicians are called out into the GTA for our particular brand of roof cleaning services. Instead of living with clutter, moss and algae ruining your roof, call a Gorilla for your Etobicoke roof cleaning and moss removal. All it takes is one phone call to have your property looking great once again. Roof clutter is so common in Ontario, that it has practically become part of the landscape. Basic practices like window cleaning are common enough because dirty windows are noticeable. Debris and roof moss are always present but you might not notice them unless your roof is visible from the street level. Your roof is always up against the outside elements. Something as small as a wind storm can cover a good portion of your roof in leaves, sticks, branches. More so than just making your roof look bad, unwanted materials can actually lead to structural damage around your roof. How can something as harmless as a leaf, damage your roof? It all comes down to moisture. Organic debris holds on to moisture, keeping it against the surface of your roof and making way for invasive plant life, like moss. Moss itself can be very pretty when you are on a hike in the woods, but having it on your roof can mean big trouble for property owners. Unlike other sorts of stains or growth, roof moss can not be pressure washed away. As moss spreads, it weaves itself around and under your shingles, reaching to the materials underneath. This can soften materials, creating holes or passages for water to pass through and get inside. Using harsh treatment methods like power washing can cause damage to your roof system. 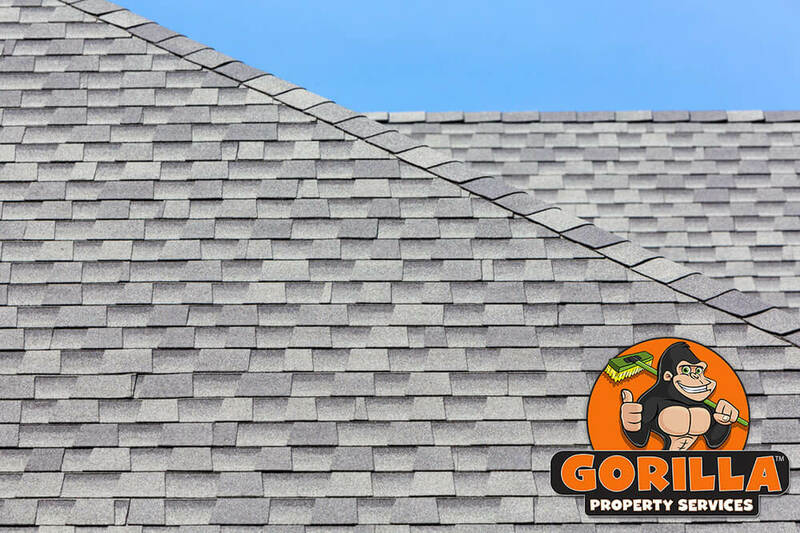 Avoid unnecessary roof repair and extending the life of your roofing is as simple as calling in a Gorilla. Reaching the heights around your property can be tricky, but a professional roof cleaning company. Once our expert technicians have reached these heights, the surface of your roof is cleaned and inspected for moss growth. If you are curious as to what it is that we look for, our Gorillas work with you every step of the way. Before and after photos are provided to our clients, so you always know what is going on above your head.